Róisín Hyde is using technology to develop high-performance construction materials that are kinder to the environment. How can we use technology to make next-generation materials for more sustainable construction? 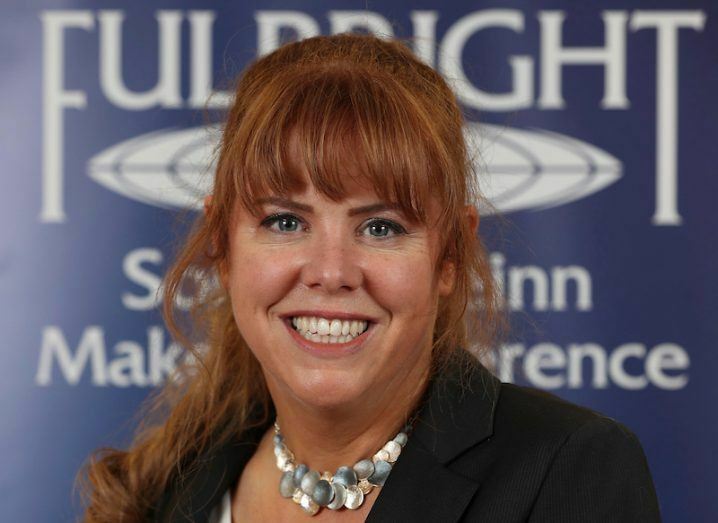 That’s one of the major issues to feature at TEDxFulbright in Dublin this weekend, and 2018-2019 Fulbright research student Róisín Hyde is on the case. An architect and a doctoral researcher at Queen’s University Belfast’s School of Natural and Built Environment, Hyde’s research is developing thin, high-performance, cement-free, geopolymer concrete cladding that slashes the carbon toll on the environment, and this will be the subject of her talk. “I will be speaking about concrete and how technology can help us make a more sustainable product,” she explained. Just as the industrial revolution opened up new ways of making materials such as steel, she noted, the digital revolution is providing technologies that allow us to visualise the nanostructures of materials, and use that information to develop materials that do the trick but with less environmental impact. “In the lab, we are using technologies to design materials from a nanomolecular structure up, so we can build the next generation of high-performance materials,” said Hyde. red-haired woman with a protective arm over her young son, who is wearing a suit and sunglasses, standing in a well-furnished room. Hyde’s focus on sustainability has been fuelled by her architectural practice. After she studied architecture in University College Dublin, she worked for Scott Tallon Walker and the Office of Public Works. She then moved into private practice, where she worked on social housing projects with Dublin City Council, SEAI and Codema that used high-performance materials, passive solar-heat gain and renewable energy for more sustainable buildings. Hyde’s move into research was “a push-pull situation”, she recalls, “with the ‘pull’ being the potential to work with technologies such as 3D-printing, LiDAR, BIM and material science to design and create high-performance, low-impact architecture; and the ‘push’ being the serious issues of unequal pay, sexual discrimination, long working hours and poor work-life balance”. Hyde’s work has been supported through Horizon 2020 and now, as a Fulbright research student, she will spend six months at the University of North Carolina to work with Dr Brett Tempest, whose interests lie in sustainable materials, engineering education and engineering with humanitarian focus; and Rachel Dickey, who studies robots, architecture and design. “The Fulbright award is really allowing me to bring my research to the next level,” said Hyde, who will use the time to work on a novel hydrophobic self-cleaning surface. She encourages more women in construction to think about moving to research. “Although the world of academia is not without its challenges, and the hours are still long, more flexible work practices such as working from home at hours that suit me have resulted in a far better work-life balance,” she said.